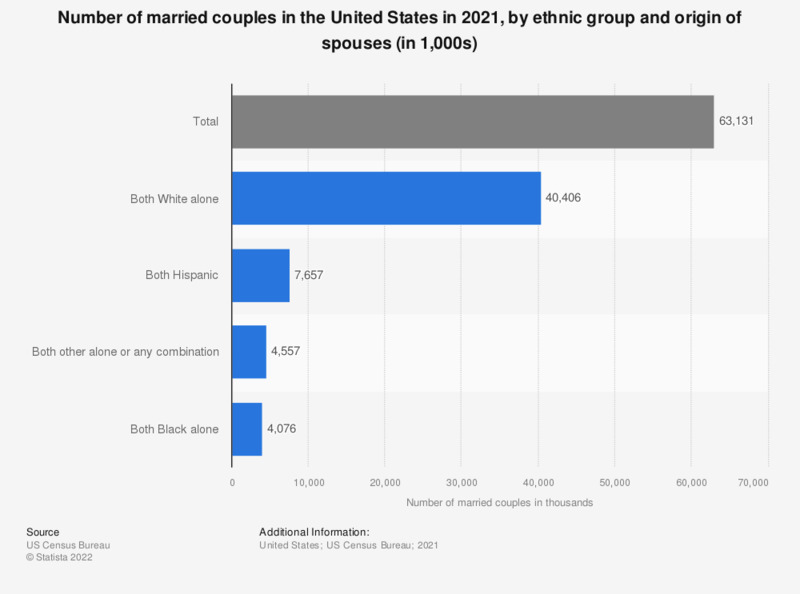 This graph shows the number of married couples in the United States in 2018, by ethnic group and combination of spouses. As of 2018, about 7.66 million married couples were of Hispanic origin in the United States. "Other race," is any race other than White or black, such as American Indian, Japanese, Chinese, etc.